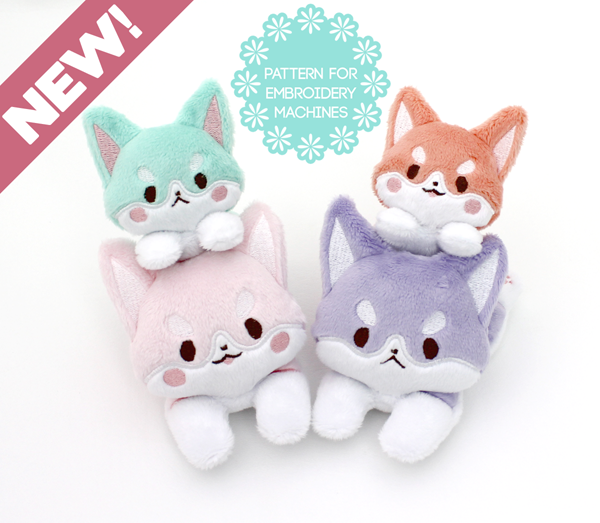 You are here: Home / new patterns / New ITH corgi plushie pattern! 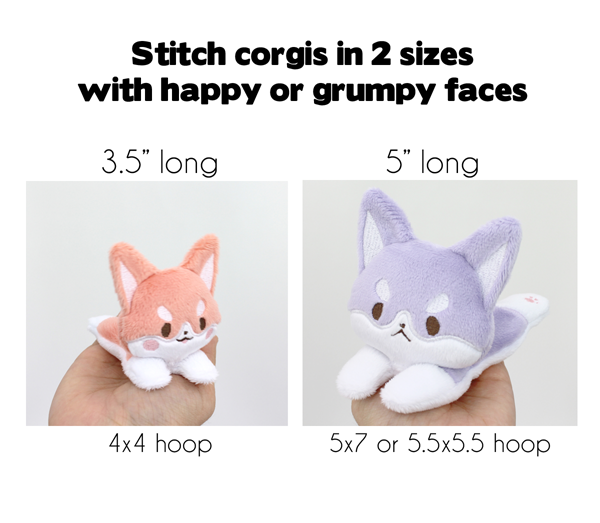 I stitched up some ridiculously cute in the hoop corgi plush with my embroidery machine – look at these little guys! They come in 2 sizes, the tiny one fits 4×4 hoops. 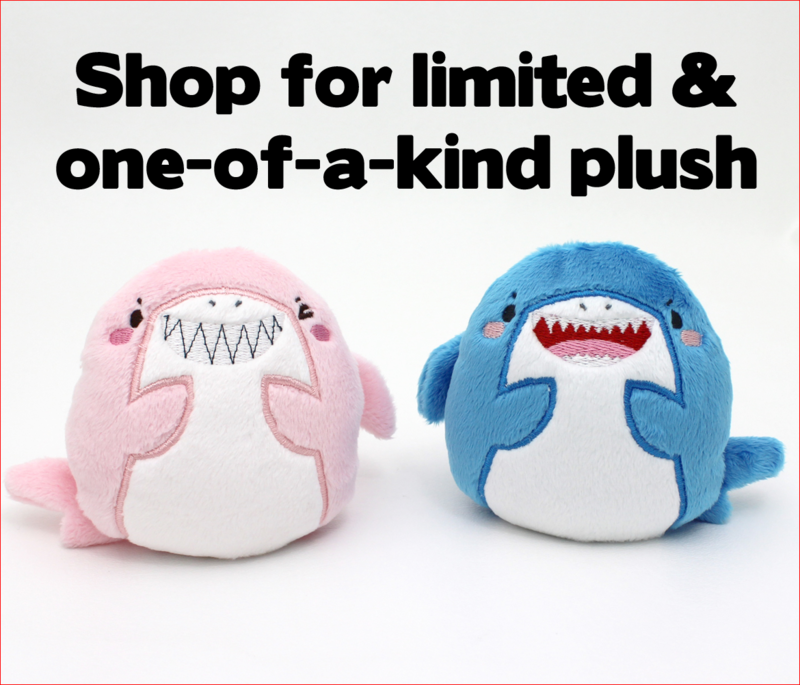 You can pick up the pattern here in my Etsy shop.